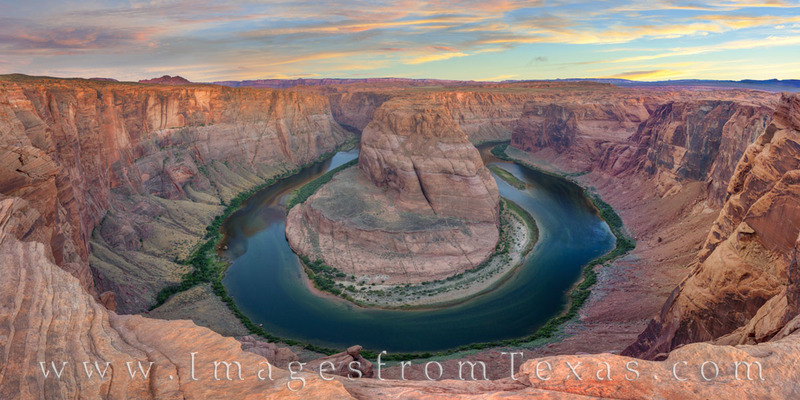 Horseshoe Bend is located just south of Page, Arizona. The rocky cliffs rise 1000 feet above the Colorado River far below. From the parking lot along US Route 89, the walk to the overlook is about .75 miles. The views are stunning.